1. We will realize to create the team that provides the fans and citizens with excitement and courage. 2. We will actively provide everyone with baseball entertainment. 1. Players must do their best for victory. 2. Players must show exciting, impressive performances to regional people. 3. To have relationship with fans actively, behave properly as a member of regional society. 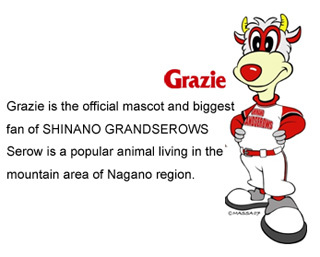 38 of 76 Shinano Granserows home games are held at 10 stadiums in 9 cities of Nagano Prefecture. 8 3rd in Joshinetsu Div. 2 3rd in Joshinetsu Div. 3 2nd in Joshinetsu Div. 6 2nd in Joshinetsu Div. 0 2nd in Joshinetsu Div. 0 3rd in Joshinetsu Div.